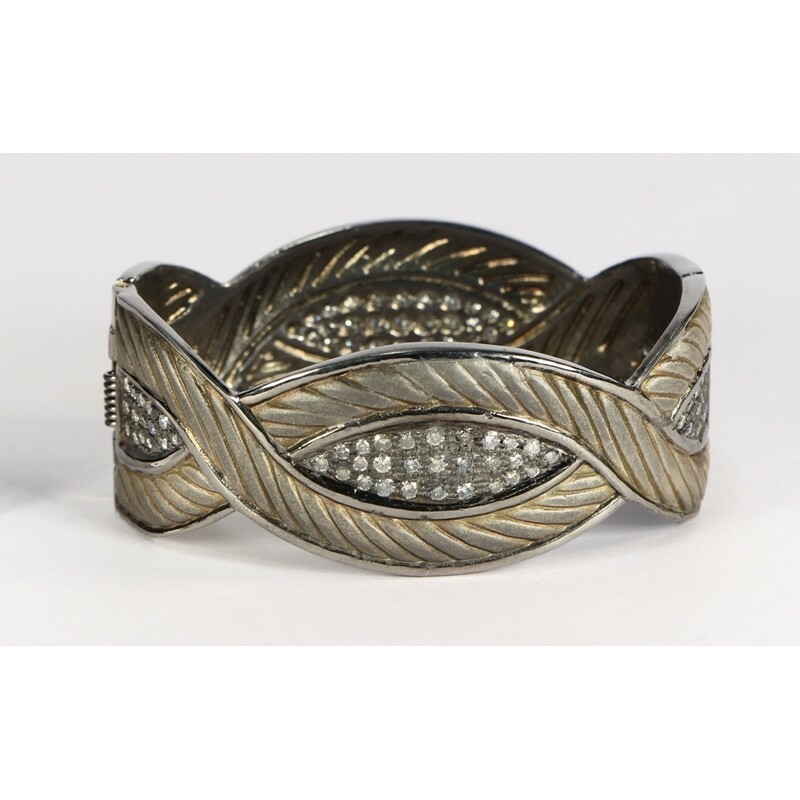 This Bangle Cuff is a designer piece. 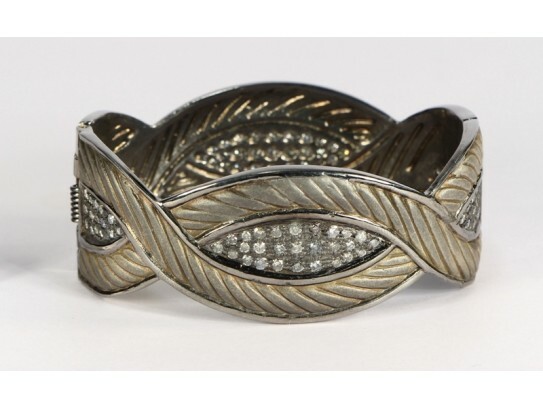 It is a Leaf design with Texturing and Pave Diamonds. It is set in .925 Sterling Silver. All Diamonds are natural and are handset. It is Oval in shape. It is openable and has an magnetic lock. It gives a very stylish look and is unique.